Submitted by Mason Hoberg on May. 25, 2017. Solid state amplifiers offer a lot of advantages and there are a ton that sound amazing. They’re (generally) cheaper, more durable, don’t have to warm up/cool down, and are significantly easier to transport than most tube amps. The list of famous musicians who’ve used solid state amps on famous recordings stretches through almost every decade and genre, including musical luminaries like: Andy Summers (Roland JC-120), Johnny Greenwood (Fender Eighty-Five), B.B. King (Lab Series L-5), Metallica (Roland JC-120 for clean tones), and Dimebag Darrel (Randall C200). If you’re looking for a respectable solid state amp that won’t empty your wallet, check out the affordable options below. These amps are a solid addition to your rig. While they’re not going to blow anybody’s mind, when you consider the price point they occupy their performance is impressive. 88 out of 100. Incorporating 650+ ratings and reviews. Like Fender and Marshall, Vox helped to define the tone of an electric guitar. The amps produced by the company were used extensively during the British Invasion, being the secret weapon of bands like The Beatles, The Rolling Stones, and The Yardbirds. The bad thing about many practice amps produced by larger companies is that, while they may bear the logo, they don’t carry the trademark sound that the company is known for. Thankfully, this isn’t the case with the Vox Pathfinder 10. 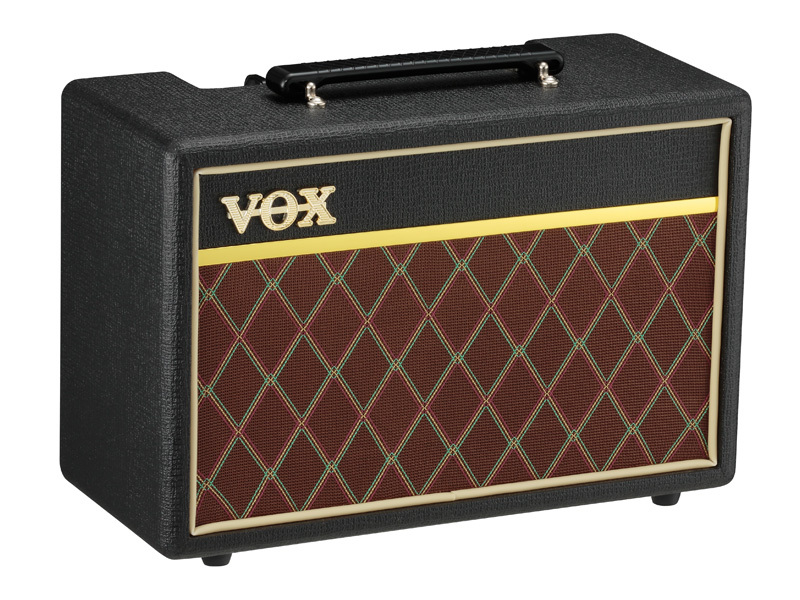 The Vox Pathfinder 10 is a 10 watt practice amplifier, and features a 6.5” speaker. It has controls for volume, gain, bass, and treble. The vast majority of reviews for the product state that for its price and size it’s capable of conjuring up an impressively beefy tone, able to cover everything from squeaky cleans to aggressive grit with relative ease. It also retains that trademark chime-y Vox sound. The only flaw with the amp is that because it doesn’t feature a control for mid-range frequencies you may have a hard time dialing in a perfect tone. However, experiences with this are going to vary. 92 out of 100. Incorporating 800+ ratings and reviews. There’s not much to be said about Fender that hasn’t already been said. The amps produced by the company are famed for their bright clean tones and bluesy grit. Fender may still have a strong focus on tube amps, but their recent solid state and modeling amps have been making waves due to their reliability and the great tones they have on hand. Different voicings that allow you to dial in a variety of tones (Fender, Vox, Marshall, metal tones). 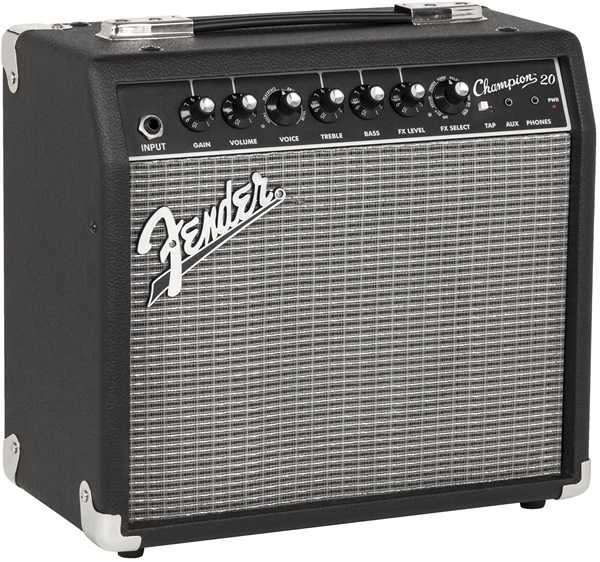 The Fender Champion 20 is somewhat of a modeling amp. We say somewhat because while you can select from different amp models and effects, it’s more of an EQ sweep as opposed to a modeler. For example, the Mustang v2 series is intended to accurately produce tones inspired by classic amplifiers. The voicing on the Champion 20 are intended more to get you in the ball park. The amp does have a few effects on hand, including reverb, chorus, vibratome, and delay. The amp also comes with tap tempo functionality, which makes it easier to dial in a specific speed for the effects available. The Champion 20’s greatest strength is also its greatest weakness. Because it straddles the line between a solid state and a modeling amplifier it’s much simpler to use than something like the Mustang series. At the same time, it also isn’t as versatile. 94 out of 100. Incorporating 100+ ratings and reviews. 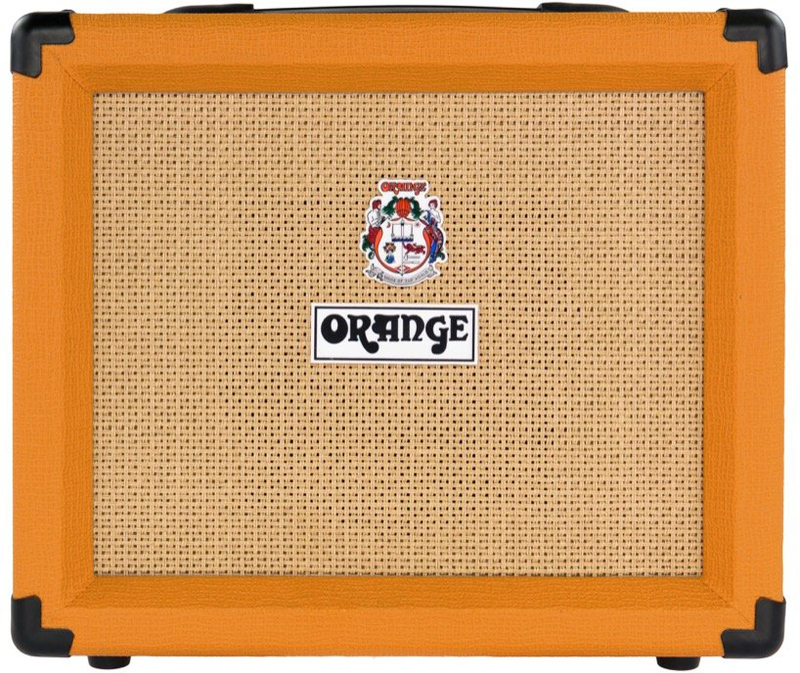 While the first thing many players notice about Orange amps is the distinctive covering, the reason that these amps have become such a hit is that they have a unique gain profile. They sound a bit like Marshall amplifiers (high representation of mid-range frequencies) but more jagged and aggressive. The Orange Crush 20RT does a good job of modeling what’s considered to be the quintessential Orange sound. The amp is unique, the distortion it produces is more musical and full than many other amps in this price range. The cleans are also as serviceable as the majority of non-modeling solid state amplifiers, though Fender is still the king in this area. To increase flexibility even further, the amp comes with both a clean and distorted channel which you can switch between via a foot switch. The most interesting feature of this amp is its line-out emulation. Basically, this feature emulates the response of a mic’d 4x12 cabinet when used with either headphones or a P.A. This means that the amp retains a lot of the character that other amps lose when you plug headphones into the them, making it worth serious consideration if you’re looking for a silent practicing amp. Lastly, the Orange Crush 20RT comes with both reverb and an onboard tuner. 90 out of 100. Incorporating 600+ ratings and reviews. 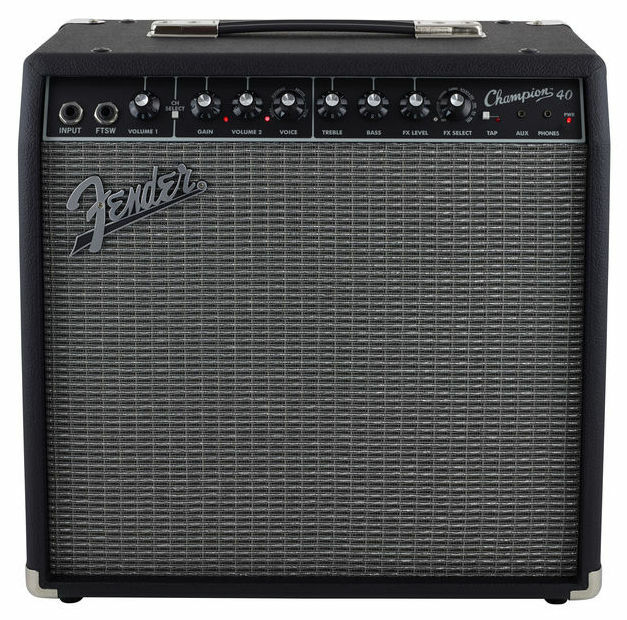 The Fender Champion 40 is essentially the same as the Fender Champion 20 except for a few small differences. As implied by the name, the Champion 40 has 40 watts on hand compared to the 20 Watts of the Champion 20. This isn’t going to give you a huge difference in volume, but it will allow you to retain a clean tone at volumes louder than what the Champion 20 is capable of. The Champion 40 also comes with a 12” speaker, which helps to give the amp a bit more depth. Another cool feature of the Champion 40 is that you have a both a dedicated clean channel as well as a channel for effects and distortion. This means that so long as you purchase the foot switch you’ll be able to switch between two distinctive tones on the fly. Marshall, like Fender and Vox, have become synonymous with the electric guitar. The brand has been at the forefront of Western music for decades, designing the amplifiers that made the albums we all know and love possible. Now, the Marshall MG30CFX isn’t going to stack up (pun intended) against the high-end tube amplifiers the company has produced. However, that doesn’t mean that it won’t be a viable option in certain situations. The ability to store 4 user presets. 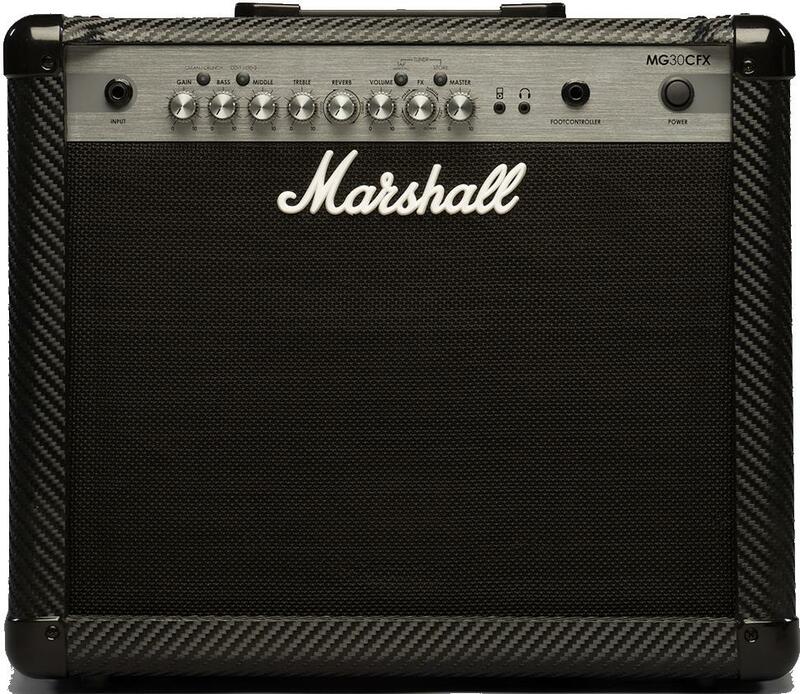 The main selling point of the Marshall MG30CFX is that it has a Marshall voicing for its distortion channels. Hard rock and metal musicians have been drawn to Marshall for decades because the brand is voiced to enhance the clarity and character of a distorted guitar. If you’re looking for a small solid state amp to approximate heavy metal and rock tones this amp would be a solid option. While many may purchase this amp looking for balls to wall gain, the MG30CFX comes with four different channels that have varying levels of gain. The channels, in order from cleanest to most heavily distorted are: clean, cruch, OD-1, and OD-2. The MG30CFX also comes with a handful of effects, including: reverb, chorus, phaser, flanger, delay, and octave-up. The cool thing about this amp, and something that differentiates it from other amps of this type, is that it allows users to store four different presets. These presets lock the controls, with the exception of the master volume knob, so that you can easily access your favorite tones. Even better, you can also switch between these channels via a footswitch. As stated in the sections above, there are a ton of great sounding solid state amps available. The best solid state amps, many of which are included in the list below, will give you a tone that rivals any tube amp while being both more affordable and easier to maintain. 90 out of 100. Incorporating 425+ ratings and reviews. 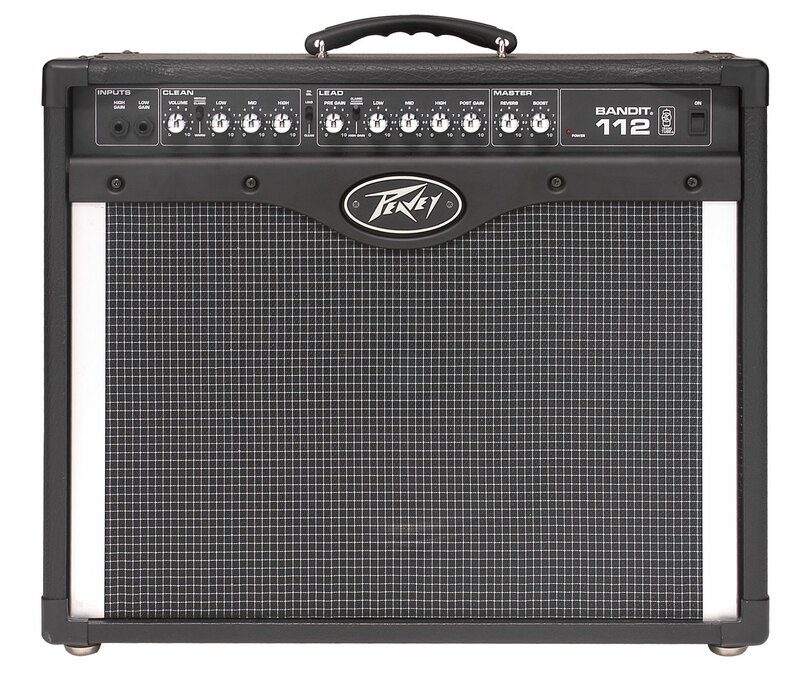 In many circles, Peavey has an underserved reputation as being a budget brand. While they may not have the illustrious reputation of Fender or Marshall, Peavey turns out some great sounding pieces of equipment. The amps produced by the company are also famed for being some of the most durable available. Just about every company has an amp that they say sounds just like a genuine tube amplifier, and they’re all wrong. No one has really nailed the feel of a tube amp yet, but with that being said Peavey’s Bandit series has arguably come the closest in this price tier. The technology that powers the Bandit series is called “TransTube” circuitry. This circuitry emulates not just the sound of a tube amp but the response and feel as well. It still doesn’t quite feel like a tube amp, but it’s in the right ball park. In all honesty, in a live setting the difference between a Peavey Bandit and a genuine tube amp probably isn’t going to be that noticeable to your audience. It may become more apparent in a recording studio, but your experience is going to vary depending on the gear used and what you’re trying to accomplish with the amp. The Peavey Bandit 112 TransTube amplifer comes with foot-switchable clean and distortion channels, both of which have a 3-band EQ and a 3-position EQ sweep. The sweep switch on the clean channel allows you to switch between a modern and clean voicing, with the middle position being the middle ground between the two. The sweep switch on the lead channel allows you to switch between classic, modern, and high gain. The amp also has a foot-switchable boost control, which allows you to pump up the gain even further. ZT is one of the least known amplifier manufacturers currently operating, which is a shame because they turn out some pretty cool amps. The main goal of the company is to offer a professional level of sound in a diminutive package, which by all accounts they’ve seemed to be pretty successful in so far. 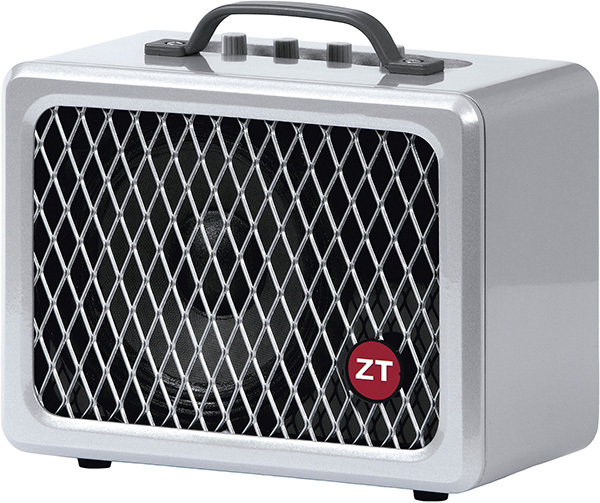 The ZT Lunchbox can be thought of as a modern analogue to B.B. King’s Lab L-5. Andy Summers of the Police and Billy Gibbons of ZZ Top use the amp both on stage and in the studio. The video below is actually a backstage performance of the Red Hot Chili Peppers using a ZT amp. While at first glance many may assume that the Lunchbox is intended to exclusively be a practice amp, it actually has loads of power for its size. The amp is rated at 200 watts, which makes it one of the louder solid state amps to be featured on this list. While the ZT may have a pretty diminutive speaker (just 6.5”), the tone of the amp has more depth that you’d initially assume. This is due to ZT’s “ambience effect”, which is a way of voicing the amp so that it has a response similar to that of an open-backed cabinet. The ambience effect can be increased or decreased through the use of a knob on the top of the amplifier. The ZT Lunchbox can also power an external cabinet. The only real downside to the amp is that the controls are pretty minimalistic. It only has one tone knob, the aforementioned ambience control, volume, and gain. The lack of a dedicated EQ can really limit the utility of this amp in some situations, but at the same time many may find that the tone it does offer is a good fit for genres that don’t require heavily scooped EQ settings. Roland is one of the biggest names in digital music for a reason: they have a level of understanding digital instruments and accessories that far eclipses its competition. They’re constantly pushing the boundaries of digital equipment, and there’s no better reflection of this than the Blues Cube Hot 30. While Peavey’s TransTube circuitry does a really good job of emulating a tube amp’s response, the Blues Cube Hot 30 is probably the closest that anyone has ever come to making a solid state amplifier that feels like a tube amp. They pioneered a technology they call “Tube Logic”, which uses a combination of analogue and digital circuitry in order to emulate the subtleties of a tube amp’s response. In fact, if you haven’t spent a lot of time around tube amplifiers odds are you won’t be able to notice the difference between a tube amp and the Blues Cube Hot 30. The main difference you’re going to hear between this amp and a tube amp is that (like other solid state amps) the Blues Cube is going to have a more focused and articulate response at the expense of some harmonic content. The sound won’t necessarily be worse, but it will be different. While the amp’s Tube Logic circuitry is impressive in its own right, it also comes loaded with a lot of useful features. Users can switch between 0.5 W, 5W, 15 W, and 30 W power settings, meaning that regardless of your living situation you can find an appropriate volume setting. The amp also comes loaded with a three-band EQ, onboard reverb, and a foot-switchable boost. 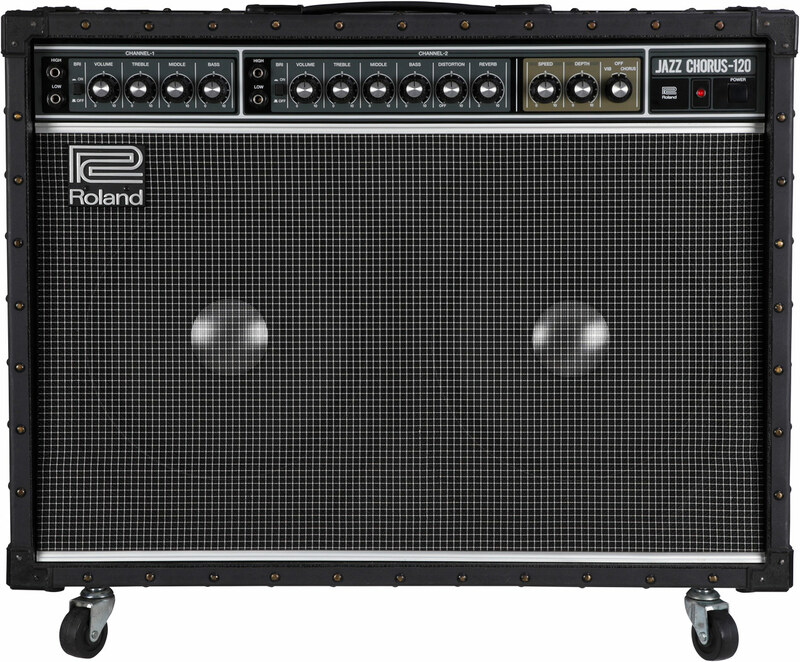 The Roland Jazz Chorus proved to the world that solid state amplifiers can offer a musician just as much as a tube amp. 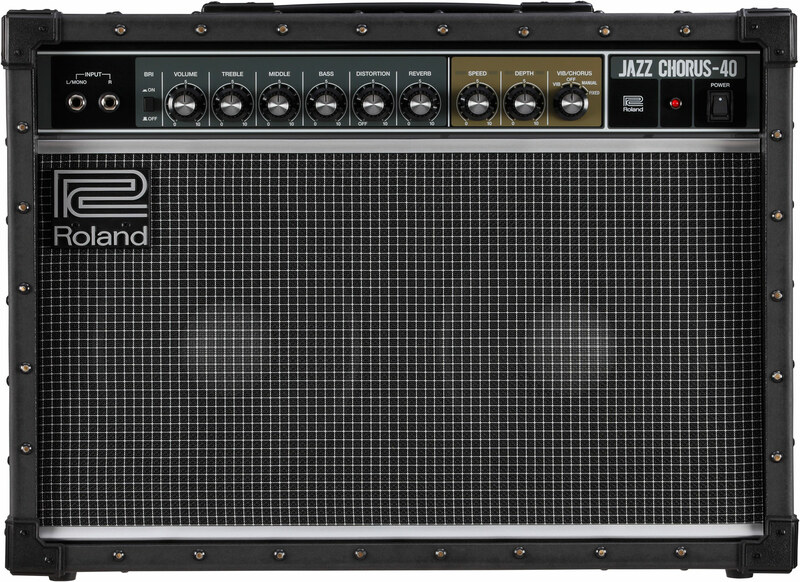 The most important thing to know about the Jazz Chorus is that it’s not intended to reproduce the sound of a tube amp. Rather, it’s meant to highlight all of the positive aspects of a good solid state amp. It’s has a very punchy tone, with every note being incredibly articulate. While it does handle gain well, it’s best suited for jazz, country, or ska/reggae. Another factor that works toward the articulate sound of the JC-40 is that it has two 10” speakers. While this does somewhat limit its warmth, it does a lot to help your guitar cut through a mix. Though it does cut well, due to the fact that it’s only 40 watts you may need to mic it if you plan on playing live. 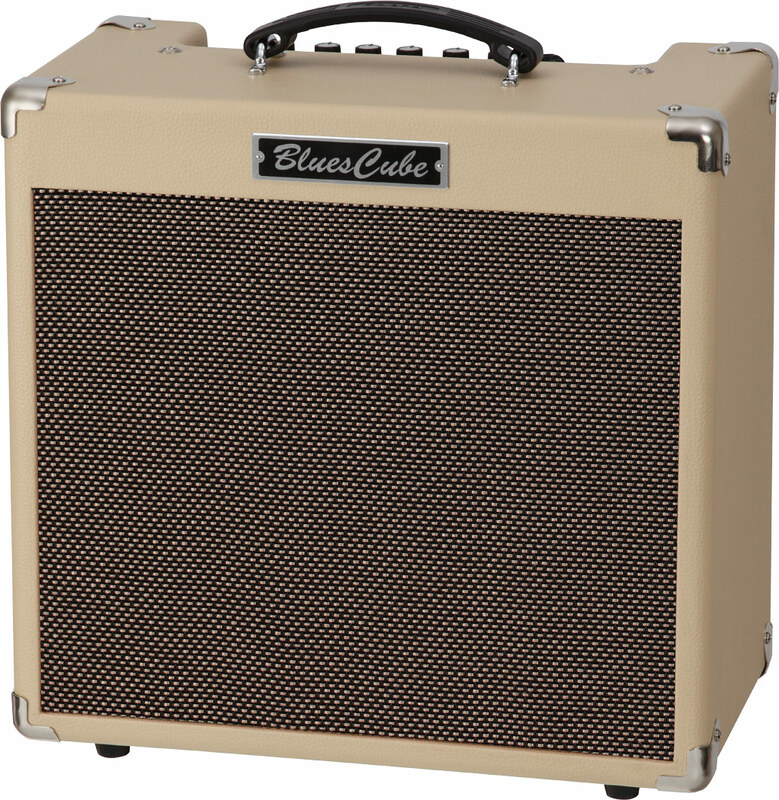 The JC-40 also has the trademark chorus effect the amp is known for, as well as vibrato, distortion, and reverb. The amp also has a footswitch (purchased separately) which you can use to switch the onboard effects on and off. Lastly, the JC-40 also has stereo capabilities. This allows you to use stereo chorus and delay without having to purchase a second amp. 92 out of 100. Incorporating 300+ ratings and reviews. There’s really not a ton of difference between the JC-40 and its bigger brother the JC-120. The JC-120 has a pair of 12” speakers, as opposed to the 10” speakers of the JC-40. This means that the tone is going to be marginally fuller, though your experience is going to vary based on how you set the EQ and the gear you’re using. Likewise, in some situations you may also find that the JC-120 is less articulate than the smaller JC-40. Apart from that, the JC-120 is also louder than the JC-40. The JC-120 packs 120 watts of power, which means that it’s going to be suitable for small to medium sized gigs. It’s also going to be more than loud enough to be heard over a full band, so you won’t have to mic it to rehearse with a band. Lastly, the JC-120 has a second channel devoted just to clean tones. This helps to boost its utility, though because footswitches for the amp are readily available it’s not all that notable of an inclusion. A commonly held belief is that tube amps are louder than solid state amps, and while that is sometimes true it’s not a guarantee. This belief is held because when solid state amps are turned up they “hard clip”. Hard clipping is a more aggressively distorted sound, like what you’d get with a distortion pedal but a bit less musical. Tube amplifiers “soft clip” which is a bit more musical sounding. There are also other factors which can influence volume, chief among them being the efficiency of the speakers. The majority of components in an amplifier have a part in changing the tone and volume you get. With that being said, as a rule solid state amplifiers are generally going to be quieter than their tube counterparts. Just keep in mind that the best solid state guitar amps are built with quality components, so the difference in volume between a high-end solid state amplifier and a high-end tube amp isn’t going to be overly dramatic. With that being said, for budget minded solid state amplifiers (the Fender Frontman springs to mind here) you’re going to want to make sure you have at least 100 watts on hand. This will give you plenty of head room during a gig, so you won’t have to worry about your amp distorting in a non-musical way. Because the technology of a solid state amplifier is more affordable, most cheaper amps are solid state. Because of this, solid state technology has gotten a reputation of sounding bad because its generally used in cheaper amplifiers. However, given the prevalence of solid state amplifiers in a variety of different musicians’ rigs they obviously can’t sound bad all the time. Imagine a situation where you had two amplifiers that were essentially the same, with one being a solid state amplifier and one being a tube (obviously this isn’t really possible, so it’s just a hypothetical). The main difference you’d experience in this situation is that the solid state would have a quicker response. Notes would feel like they were literally leaping out of your amp. The tone you’d get would also be very articulate and clear. A tube amp wouldn’t have quite as much immediacy in its attack, but the notes would have a higher representation of overtones and a more organic flavor. This would of course be at the expense of some articulation. Tube amps also tend to handle distortion better, but this is also more of a generality than a hard and fast rule. If you’re using pedals to get your distortion, odds are you’re going to get just as good of a tone out of a high-end solid state amplifier that you’d get from a tube amp. Speaker size is a metric you can use to get an idea of the response an amp is going to have in different frequency ranges. A smaller speaker (6-10”) is going to have a clearer voice that emphasizes treble frequencies, while a larger speaker (15”) is going to be more bass heavy. Most amps are in the middle at 12”, because a 12” speaker is generally considered to have a pleasing response across the board. However, the size of a speaker isn’t the sole factor that decides the frequency response of an amplifier. Frequency response, just like overtones and volume, is influenced by every component in your amp. If you want an amp with a lot of built in effects you’re going to want to go with a modeling amplifier. With that being said, the only built in effect you’re really going to need is reverb. Most solid state amps don’t have the best distortion/overdrive circuits built in (with high-end solid state amplifiers being the exception), so they’re not really a must have. However, most solid state amps do come with distortion. The distortion you get from these amps generally isn’t going to knock your socks off, but it will be serviceable enough until you get a distortion or overdrive pedal. And while modeling amps may be cool, they’re not really going to be necessary for most musicians. Their main appeal is their versatility, so if you only really need one core sound you’re not going to stand to benefit overly much from the different effects and amp sims a modeling amp has on hand. Why Should I Get a Solid State Amp Instead of a Tube Amp? The main selling point of a solid state amplifier is that they’re more reliable and easier to maintain than a tube amplifier. You can also play them at a quieter volume while retaining good tone. Tube amplifiers, due to the nature of how tubes function, generally need a larger amount of power (which produces more volume) in order to sound their best. While reliability is definitely a plus, something that a lot of musician don’t know is that the best solid state amps can actually sound pretty good in their own right. If you use a lot of pedals the complex overtones and frequency response of a tube amp has the potential to make your tone muddy and unfocused. This isn’t a guarantee by any means, but it is a possibility. Think of your tone like a sandwich. You have your bread, meat, cheese, and leafy greens. In this metaphor, your frequency response is like different sauces. A presence of overtones that works toward your desired tone is like putting a bit of mayo and/or mustard on your sandwich. Too many overtones for a given situation is like throwing on mustard, mayo, ketchup, soy sauce, and vinegar. All of those things are good on their own, but when combined they result in an unfocused mess. We started our search with one thing in mind: tone. Then, we looked for a handful of amps that were affordable, and another handful of amps that while more expensive offer a tone comparable to that of any professional quality amplifier. We’ve also limited our search to gear that is commonly available from major manufacturers and retailers in the USA. Then, we filtered these amps by checking out reviews from both users and experts and then running them through the Gearank Algorithm. For more information about this process see How Gearank Works. Submitted by rtreloar (not verified) on Aug. 24, 2017. Submitted by Jason Horton on Aug. 25, 2017. Back in May when we published this guide the Boss Katana amps were very close to being included but their ratings were just a fraction low - but not by much. Out of personal curiosity I decided to update their Gearank scores and publish them in the Music Gear Database. The result was that if we were to update this guide today, then the Katana-100 would have a strong chance of being included, but the Katana-50 would probably just miss out again (I have not published updated Gearank scores for the rest of the contenders). Submitted by Cbusser (not verified) on Sep. 7, 2017. Submitted by Daniel Barnett on Sep. 11, 2017. The Quilter amps look nice but at the moment they still seem to fall into the 'boutique' category and as such there's not really enough feedback from buyers for us to get a reliable ranking on them. In this list we were focusing on widely available and well known amps. Submitted by PeteM (not verified) on Sep. 12, 2017. Seriously. The Quilter amps are great. Submitted by Ryan h 36 (not verified) on Dec. 24, 2017. I played a solid state throughout the 90s & I would have sworn bye it, (was a recording professional at this time)anyway two heads no 3 actually I still believe have Somme of the tightest most focused high gain I've ever had the pleasure to play. (Mind u I play through a Herbert or uberschaller now a days)give AMPEG VH 140c a try or the ss 150, both SS & both will thump your chest like a sledgehammer! & finally PEAVY supreme 160 all 3 imho are legit, if u listened to death metal in 90s I won't say the 2 bands names only album names & u can get an ear full of ampeg from both, pierced from within & system's of the animal.ampeg WERE about $1300 then but, the PEAVY& the amps noooo joke man, . $500! Try em!